Our blog contributors, Kristen and Missy from Sweetly Chic Events & Designs, are sharing a rustic Thanksgiving chalkboard menu DIY that's perfect for your Thanksgiving and Christmas dinners! Thanksgiving is just around the corner and we have been busy planning our holiday menu and decor. 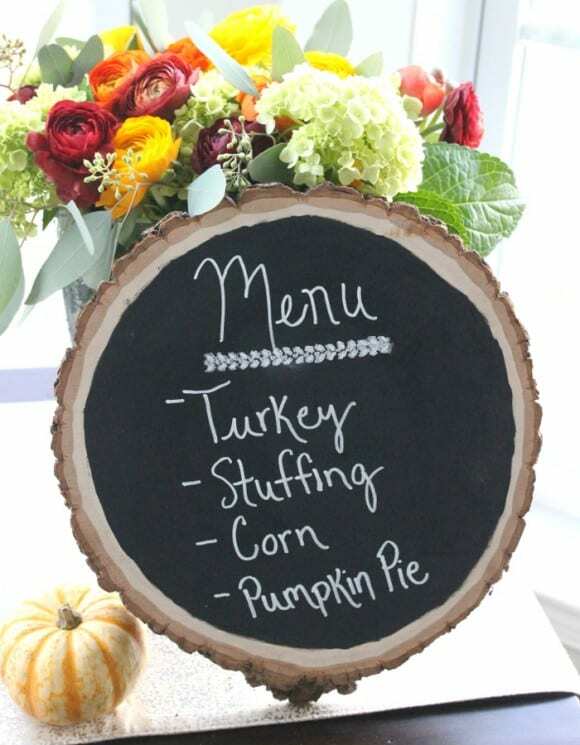 With that, we thought it would be fun to combine both, and create a stylish way to display our cuisine of choice for the evening with this DIY Thanksgiving Chalkboard Menu! 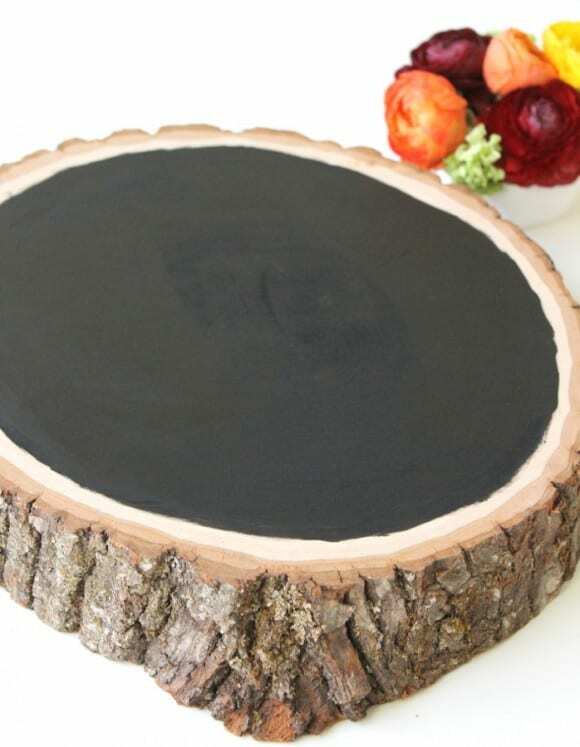 With just a few simple supplies and a some delectable dishes to display, you will be well on your way to creating a fabulously rustic chalkboard menu of your own! 1.) 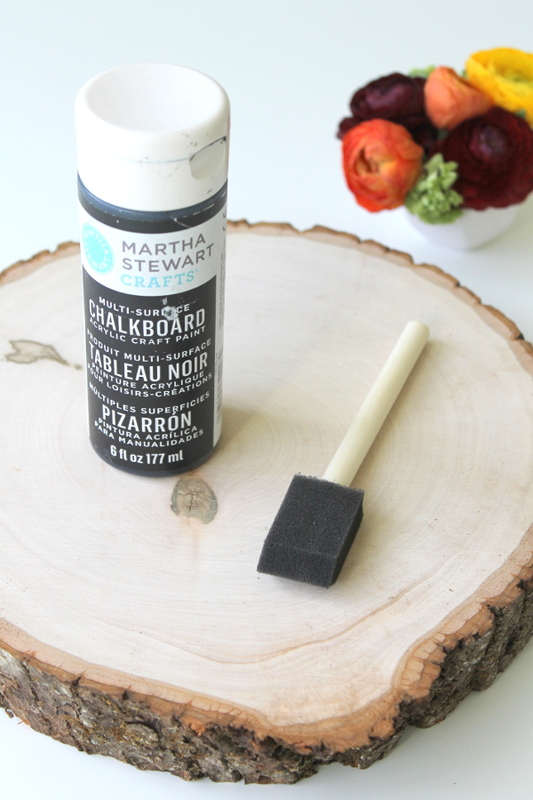 Begin by dipping your foam paintbrush into your chalkboard paint and carefully coat your wooden plaque; leaving a bit of space between the wood grain and the bark. We followed the grain of the wood for a more even coating. 2.) 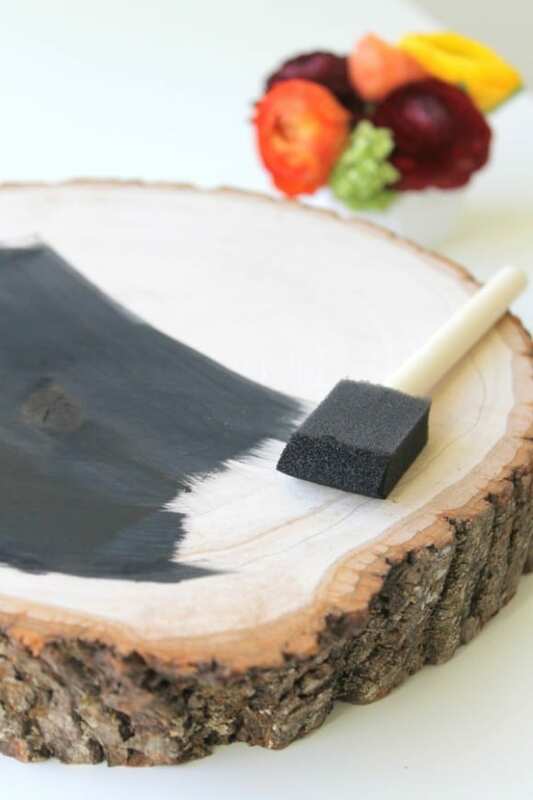 Continue painting your wooden slab until you have filled in the desired space. 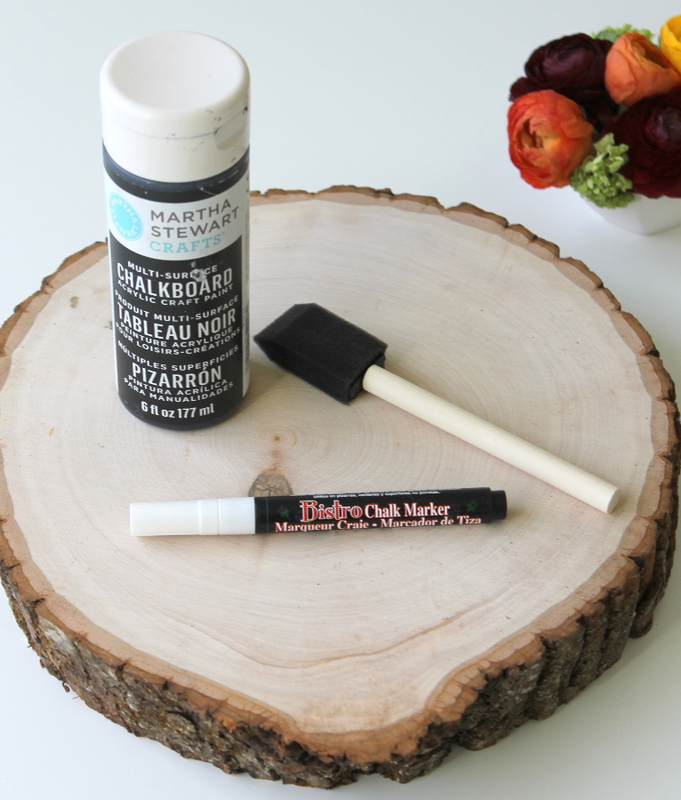 Allow your paint to dry for approximately 30 minutes. 3.) 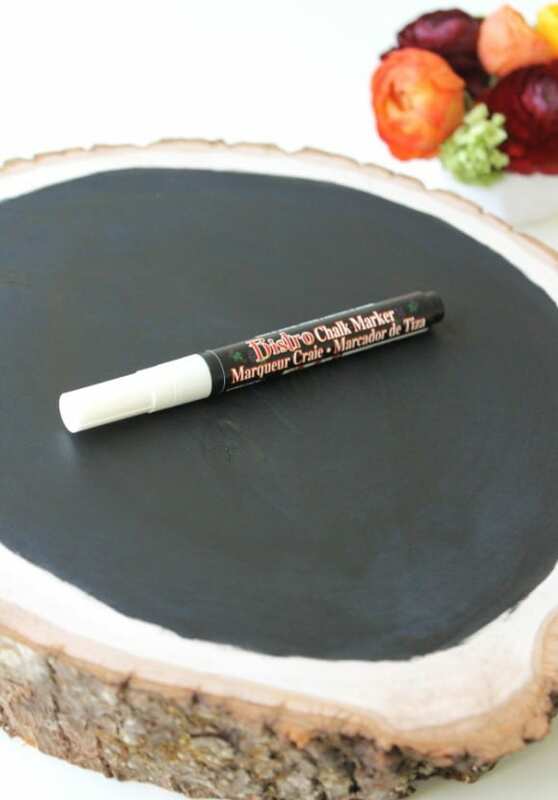 Once your paint has dried, it is time to write in your menu! 4.) We are planning on serving some classic Thanksgiving dishes and couldn't wait to have them on our menu! 5.) Once your menu is complete, make sure to display it for all your guests to see! 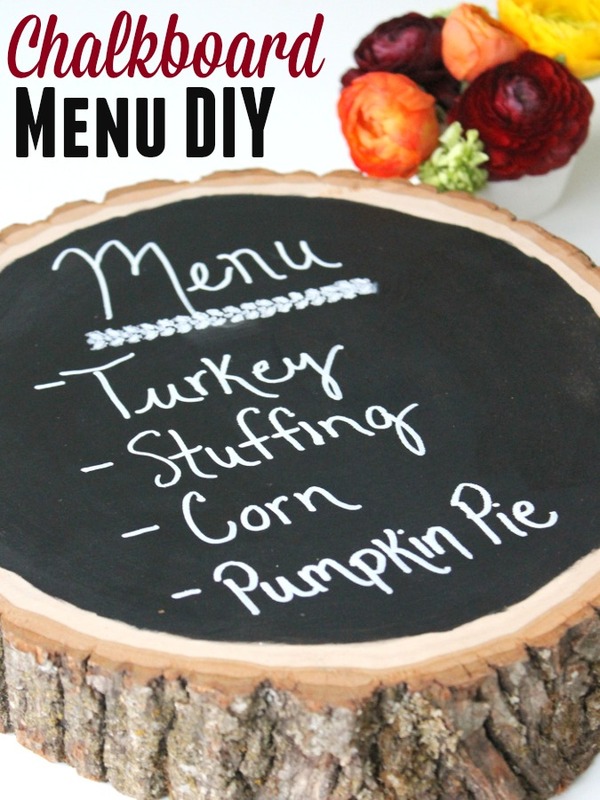 We love that this DIY is not only perfect for Thanksgiving, but can be used time and time again for many events to come! Simply erase and recreate your next dinner party menu! 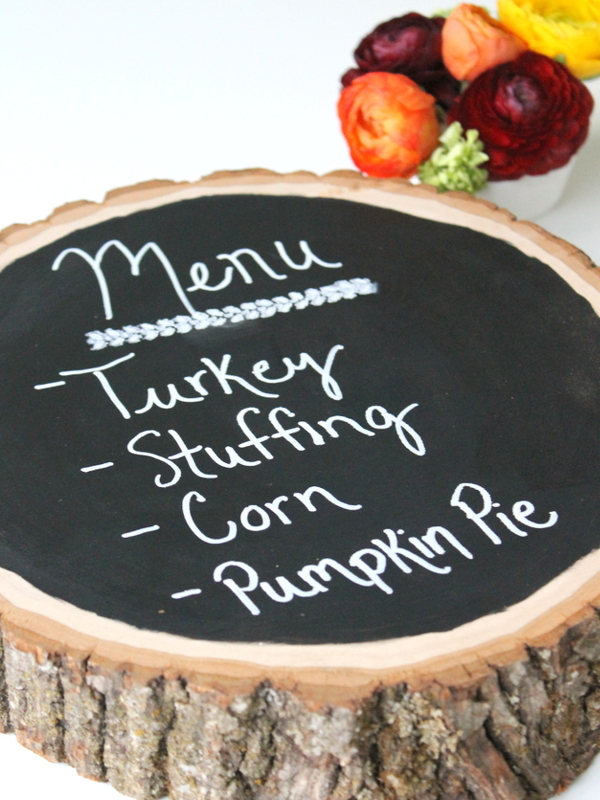 We hope you enjoyed creating your Thanksgiving chalkboard menu as much as we did! Happy Thanksgiving!